A little piece of sandstone history located in the heart of Sydney, The Rocks is a popular and much-loved destination for locals and visitors. 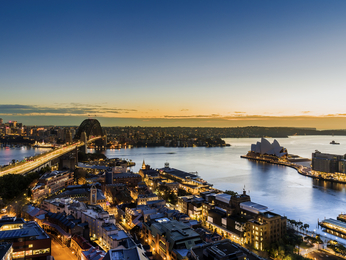 With Sydney Harbour and the Opera House surrounding the area, The Rocks is a must-visit for all exploring Sydney. The Rocks is the land of the Gadigal people, and the first place of European Settlement in Australia. Discover the heart of Sydney at The Rocks and lose yourself in the maze of old and new, from restaurants and cafes, to museums, galleries and specialty stores. Feel welcome at one of the hotels offered by AccorHotels and our partners in The Rocks. 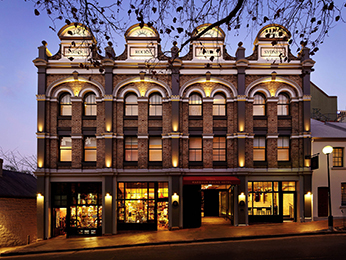 Discover our selection of luxury to budget hotels in The Rocks for your next business trip, family holiday or weekend break.